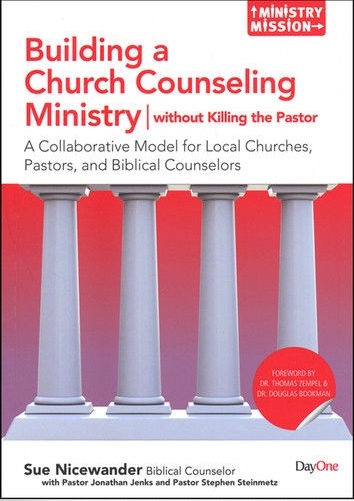 Building a Church Counseling Ministry…without Killing the Pastor was written by Sue Nicewander of Biblical Counseling Ministries in Plover, Wisconsin. Sue gives a brief description of Biblical Counseling Ministries at BiblicalCounseling.com. Although she uses a Nouthetic Counseling approach (ACBC), the administrative aspects of this project are useful for biblical counselors who use other models.